SEPTA’s service planners collaborated with developers of a new retail center to ensure that public transportation was incorporated into the site’s plans. The planners also worked with the public to add a bus route that provides safer access to a playground. Living and working close to public transportation is not only convenient, but for those without a car it’s essential. While a new concept for some, transit-oriented developments (TODs) have always been a way of life for urban dwellers living where public transit is the primary means of transportation. Developers of supermarkets and shopping centers must design their new businesses with transportation in mind. Ideally, during the planning stages each new business center will seek input from representatives of the local public transportation agency. TOD planners know it is absolutely necessary to reevaluate train schedules and bus routes to provide customers with a high level of service to retail outlets and attractions while maintaining efficiencies in operating. Thus the challenge that is service planning. Ridership — current and anticipated — is one of the most important factors transit service planners take into consideration when deciding how, and if, timetables and routes need to be adjusted or extended. A key to successfully meeting the scheduling challenge is having a good relationship with community groups, developers and local government representatives. Service planning for Baker’s Centre, a new retail center (shown), included making sure roadways could support buses and the addition of an "island" that provides dedicated space for passengers to safely debark and board buses. In Philadelphia, a retail center recently opened on the site of the former Tastykake baking factory. Vacant since the bakery relocated to Philadelphia’s Navy Yard three years ago, the new “Baker’s Centre” includes a supermarket, clothing stores, restaurants and beauty salons, revitalizing a neighborhood by providing much-needed jobs and shopping destinations. The Southeastern Pennsylvania Transportation Authority (SEPTA) collaborated with developers throughout the project to ensure that public transportation was incorporated into the site’s plans. This work included making sure roadways could support buses and the addition of an "island" that provides dedicated space for passengers to safely disembark and board buses. After Baker’s Centre opened, two bus routes were modified to accommodate employees and customers. According to Charles Webb, SEPTA's chief officer, service planning, this is a model for how transportation companies can work with developers to ensure employees and customers have public transit access to shopping destinations. "The key with Bakers Centre was getting in on the ground floor," said Webb. "We've been able to work with the developers to make sure we're able to provide the right kind of service for our customers." In addition to helping customers reach employment and shopping destinations, transit service expansions can also help community members participate in healthy lifestyle activities. For example, this summer, SEPTA extended its Route 3 bus on weekends just five minutes from the end of its line to Smith Memorial Playground in Fairmount Park. A community landmark for 114 years, Smith Memorial Playground is a six-and-a-half acre facility with more than 50 pieces of equipment for children. The playground provides opportunities for children to engage in creative play and the extension of the Route 3 Bus to the facility is aimed at attracting more families to visit Smith for play and exercise. Without the extension to the playground, visitors and employees have to take a walking route. In some places, there is no sidewalk and pedestrians must walk in the street. 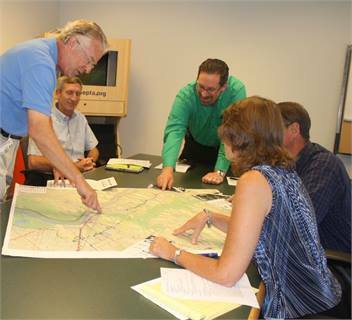 SEPTA’s Citizens Advisory Committee (CAC) was instrumental in helping the Route 3 extension become a reality, submitting a written service planning recommendation and submitting testimony at SEPTA’s Service Planning public hearing earlier this year. The extension will be reviewed by SEPTA most likely after next summer and if ridership warrants, the route extension will be provided year round. For SEPTA’s service planners, putting together the schedules for 119 bus and eight trolley routes and one high-speed rail, two subway/elevated and 13 regional rail lines is like completing a thousand piece jigsaw puzzle. But by soliciting community input and collaborating with elected officials and business leaders, the puzzle pieces can be put together a little easier. RELATED: "Report: Equitable TOD creates better communities"
Read our METRO blog, "Connected vehicles: An important step forward for the transit community"